Enhance healthcare environments with Solardome® geodesic dome buildings and glasshouses. 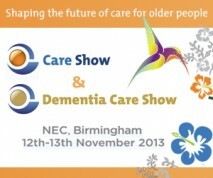 Solardome Industries, Southampton, UK, is delighted to be exhibiting at the Care Show and Dementia Care Show Birmingham 2013. Taking place on 12-13 November at the NEC, it’s a great opportunity to discover the uniqueness of the domes and see how they are making a difference to outdoor facilities in the healthcare sector. Studies show that access to natural daylight and gardening provides many therapeutic benefits such as reducing depression and stress, improving sleep and even reducing the amount of medication required1. Solardome® geodesic domes enable patients and residents of care homes, hospitals and retirement villages realise some of these benefits. With the unique indoor-yet-outdoor environment residents can enjoy natural surroundings, sunlight and fresh air all year round, whilst remaining safe, warm and comfortable. Solardome® geodesic domes are versatile and long-lasting. They provide a cost-effective long-term solution that maximises the use of a care provider’s outdoor space, which is often underused due to the changeable British weather. The domes make excellent activity centres, horticultural therapy hubs or even hydrotherapy rooms and can provide a stunning, yet functional, focal point to existing outdoor rehabilitation areas. Solardome Industries will be located in Hall 11 on stand B92. To arrange a meeting, please email sales@solardome.co.uk, or for more information click here. This is really cheeky but as we are based in Solihull would you like one of our mobile gardens all kitted out, to help with the Horticultural therapy theme of the show. Thank you for your offer, unfortunately we won’t have room our stand this year, however if you would like to contact us marketing@solardome.co.uk I would be interested to know more about your products.